A top opposition party official has just equated rival party members to cockroaches that must be crushed and exterminated. The party’s leader and presidential candidate has openly declared that he will announce unofficial results and will reject the official ones. Another top official has threatened to hunt down officials from the country’s independent electoral body and drag them out of their homes and lynch them on the street. Still, another official has threatened anarchy, stating that “the streets will be the final arbiter” in any electoral dispute. The world is watching. The world should be watching. This is happening in Zimbabwe, where pre-election periods have been known to be volatile in the past. However, all these threats to peace and stability ahead of Zimbabwe’s crucial elections on July 30 are all emanating from the opposition MDC-Alliance which is led by Nelson Chamisa. They all have been made in recent days and more such threats – at least according to Chamisa and his officials – are on the way. The MDC-Alliance is wilfully violating the Electoral Act and the Electoral Code of Conduct for Political Parties and Candidates contained in the Fourth Schedule to the Constitution of Zimbabwe, which all political parties and candidates are expected to abide by during elections. The code is meant to promote conditions that are conducive to free and fair elections and a climate of tolerance in which electioneering activity may take place without fear or coercion, intimidation or reprisals. It enjoins political parties to promote these principles. But the MDC, which has long played victim of political violence, does not seem to care. In fact, the picture is actually worse with recent statistics also showing that the party is responsible for about 80 percent of recorded incidents of intra-party violence. At the weekend, Maureen Kademaunga, an advisor and strategist in Chamisa’s office, addressed a women’s meeting in Harare. She likened Zanu-PF members to pests. “What I want to re-emphasise is, nothing has changed,” she said. “I can see women are the majority in attendance here. Now, if you go into a kitchen, catch the mother cockroach, and crush it to death, does it mean that all cockroaches are dead? “On 30 July we should go and (shake down all the cockroaches) . . . because in November 2017 what we caught – (former President) Mugabe was the mother cockroach, but its offspring still infest our cupboards,” she said amid cheers. Ms Kademaunga punctuated her address with the chant, “Chisa Mbama Chisa”, which incites supporters to strike opponents with their bare hands. Ms Kademaunga’s equating of rivals in Zanu-PF supporters and members to cockroaches is a classic dehumanisation technique that has been known to cause genocides. However, following angry reaction to her utterances, Ms Kademaunga issued a statement on Twitter justifying her use of the cockroach analogy, saying she was addressing women who would relate to the imagery. She offered a half-hearted apology and further moaned self-righteously that she had given Zanu-PF propaganda material. On Wednesday, the MDC-Alliance held a rally march in Harare against the Zimbabwe Electoral Commission (ZEC). Chamisa, as a lawyer – and surrounded by lawyers in the leadership – knows better. His utterances are a violation of the code of conduct, for which Tendai Biti, an Alliance principal, was once arrested in 2008. However, Chamisa shows that he is spoiling for anarchy, which he hides behind the euphemism of “protecting the vote”. One of his top lieutenants, Charlton Hwende, has already declared that the alliance will not take any electoral disputes to court before allegedly “captured judges”, but that “the streets will be the final arbiter”. All these are serious threats to the stability of the country and the inviolability of the process. They are all acts of intimidation. 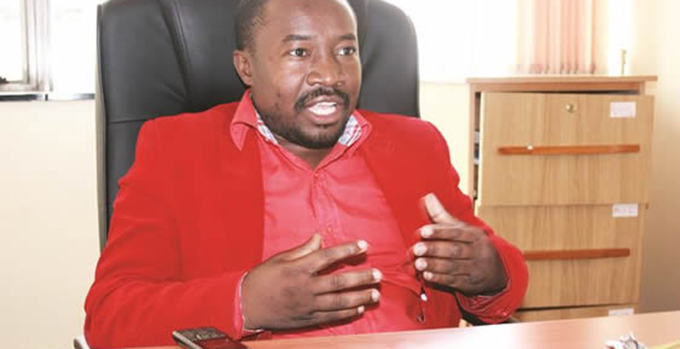 It is also worth recording that when the MDC-Alliance reached ZEC offices at Mahachi Quantum Building, where they ought to have handed over a petition, they harassed staff that they found there, demanding to see ZEC and other senior officials. A video is there in which Chamisa, behaving like a college activist, demands to see ZEC chair Justice Priscilla Chigumba, failure of which he threatened not to leave the building. Then someone – Tendai Biti – threatens to hunt down ZEC officials at their homes, including their boyfriends’ places. In the whole drama, Chamisa behaves dishonourably and riotously and is seen being restrained by party secretary-general Douglas Mwonzora. Meanwhile, MDC-Alliance supporters openly chanted and sang violent, sexist and misogynous songs against Justice Chigumba, calling her a prostitute. Women, some of whom have been abused before, were part of the mob. Biti has over the past few weeks claimed that he is ready to die fighting over elections. He repeated the belligerent call yesterday. Taken as a whole, the main opposition party in Zimbabwe has shown little interest in respecting the legal process – including the independence of ZEC – and has threatened not to respect the outcome. There are a number of worrying signs that observers should take careful note of. However, in wilful disregard of this, MDC-Alliance has invented lies about mutating ballots, which it used as a rallying point to mobilise unemployed youths for Wednesday’s demonstration and will use as an excuse on July 30. 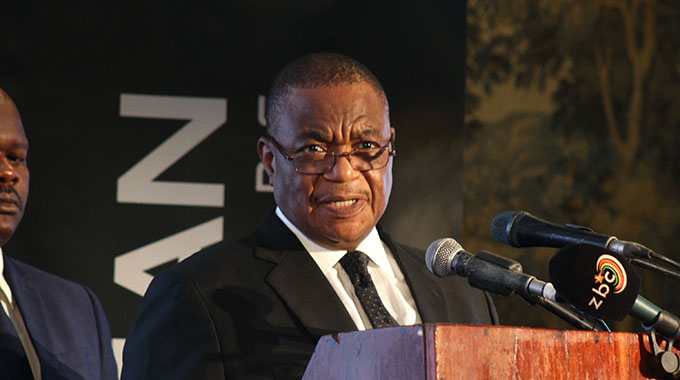 The law says parties must “accept the result of an election or challenge the result by due process of law”, but Hwende claims that the courts are “captured” and that the “streets will be the final arbiters”. In another interesting case, a fortnight ago, MDC-Alliance member and candidate in Mwenezi East, Masvingo Province, ranted about the racial and religious identity of his opponent, Zanu-PF’s Joosbi Omar. Bhasikiti was even strident in defending his racist statement following disquiet by Zimbabweans. His party did not censure him.But Bhasikiti was there on Wednesday ostensibly campaigning for free and fair elections and canvassing for support in Mwenezi and against his former party, Zanu-PF. 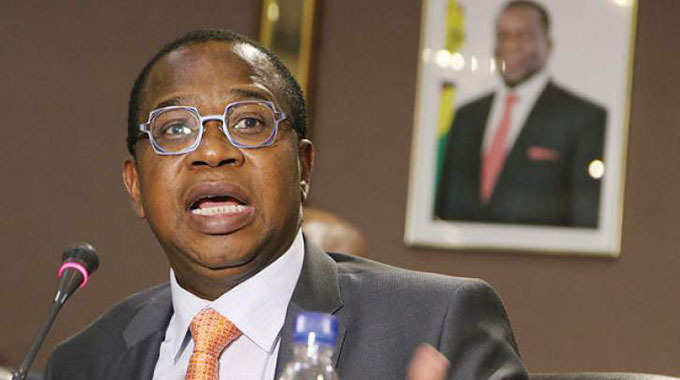 There is a high likelihood that such infractions will escalate in the next two weeks as Zimbabwe heads towards July 30. Only this time the sole perpetrators of violence, including verbal abuse and intolerance on social media platforms and on the ground, are wolves who all along wore sheep’s skin and the world treated them as angels, all in a bid to get former President Robert Mugabe out. Now they have taken their masks off. Spoiling for a showdown with law enforcement agencies by deliberately inciting violence against party rivals.